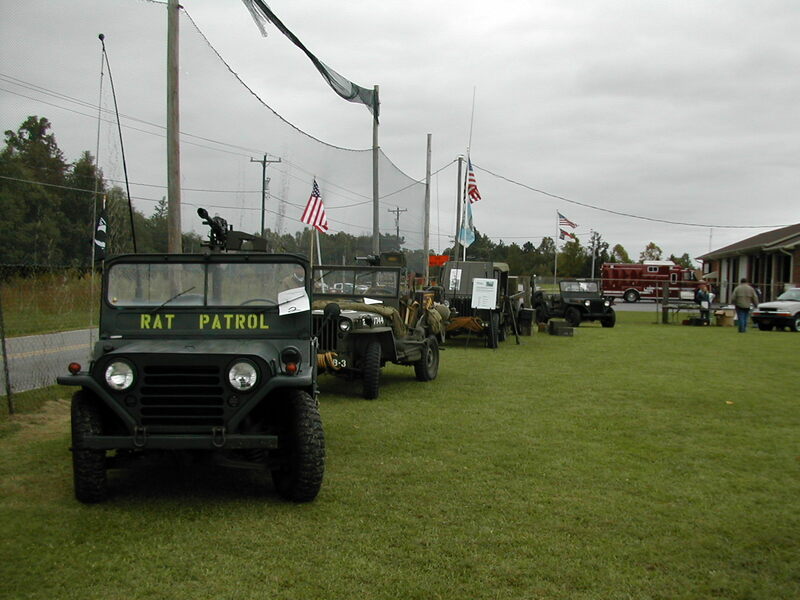 2006 Fall NCMVPA Show at Propts Crossroads VFD. 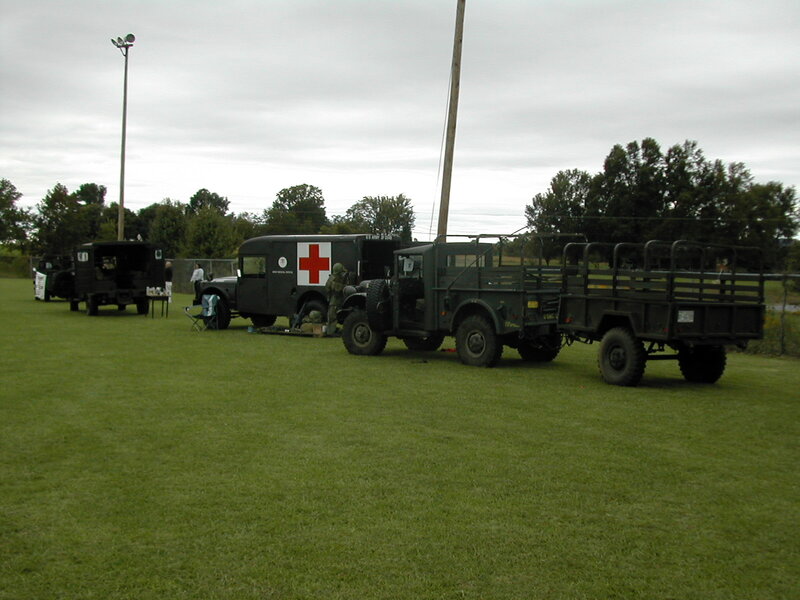 These are some photos that I took at the NCMPA Truck Show at the Propts Crossroads Volunteer Fire Department just west of Hickory, NC. 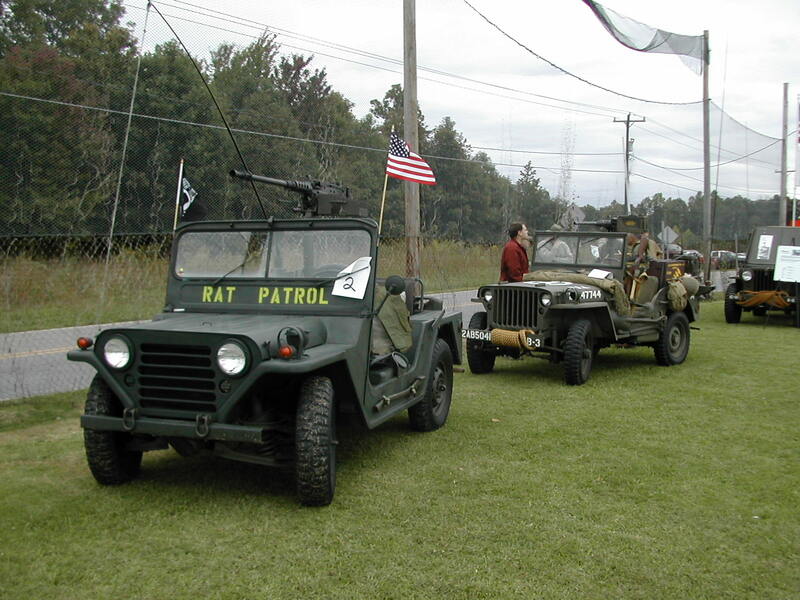 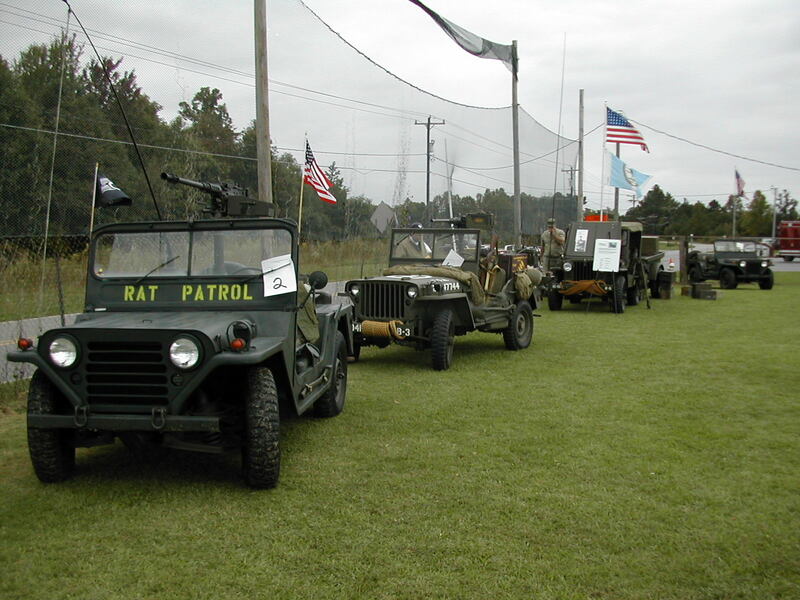 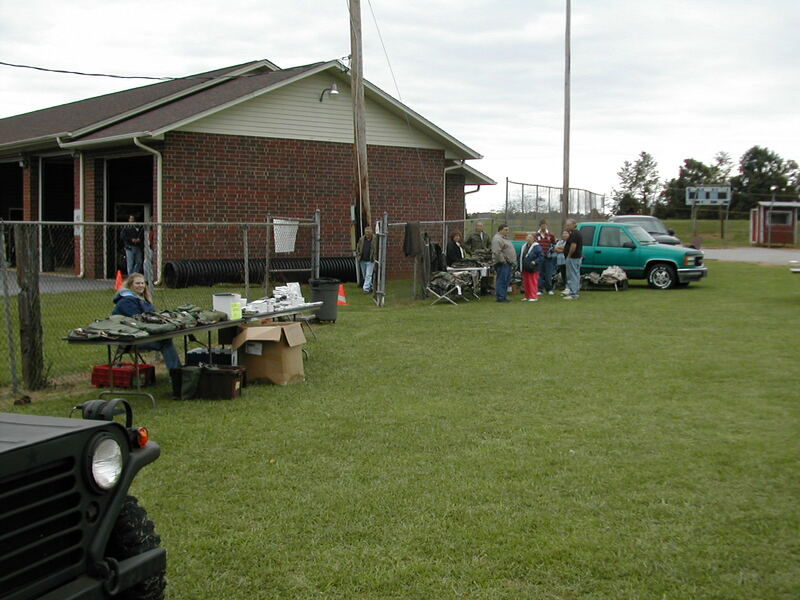 Although we had persistent semi-overcast for the entire day, and it was a bit cooler than it had been in the preceding weeks, the weather was great, as was the hospitality of the folks at the VFD to organized and hosted the event. 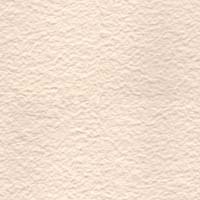 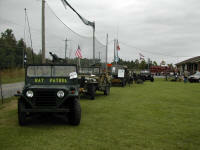 I should note that I actually didn't spend much time at the show itself... 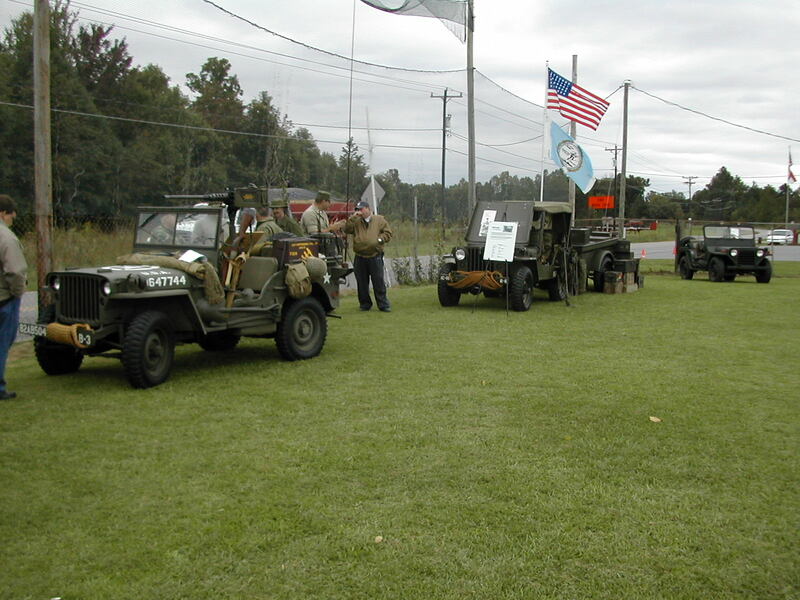 I managed to drop my intermediate drive shaft on the way up the night before (just west of the Lewisville-Clemmons Road exit on I40) and I spent most of the day either inside the VFD hall making phone calls, or on the road visiting local junkyards with Eddie and Brian. 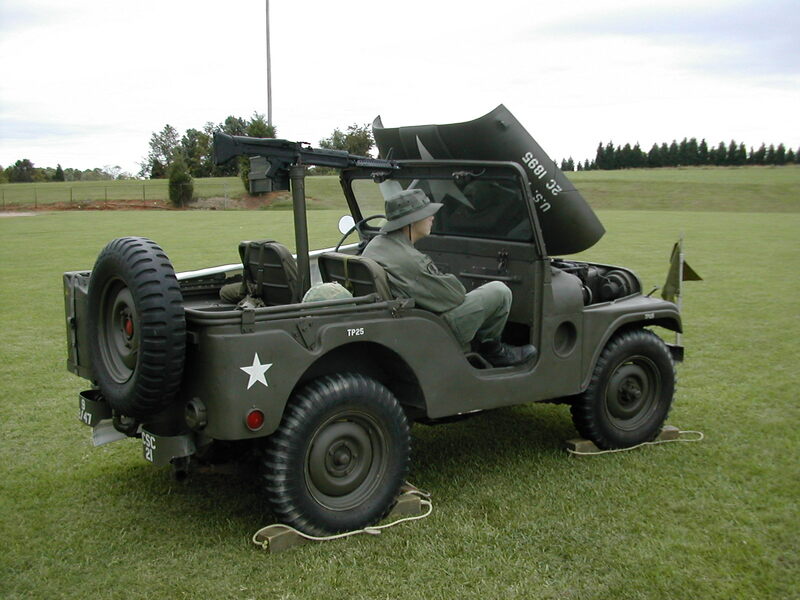 I didn't manage to find the parts that I needed during the day, so we towed my M37 (along with the M101A1) behind the M816 over to Eddie's place where it sat for a few weeks until I could put together a new short driveshaft. 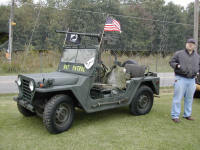 Brandon drove down to Winston-Salem the night before and flat towed my M37 to the show using his Dodge Ram 3500 and a military towbar, Steve lent me a pickup for the ride back to Raleigh (and for my ride back up), and everyone at the show did a lot of head scratching trying to figure out how to replace my custom shaft using the resources at hand... 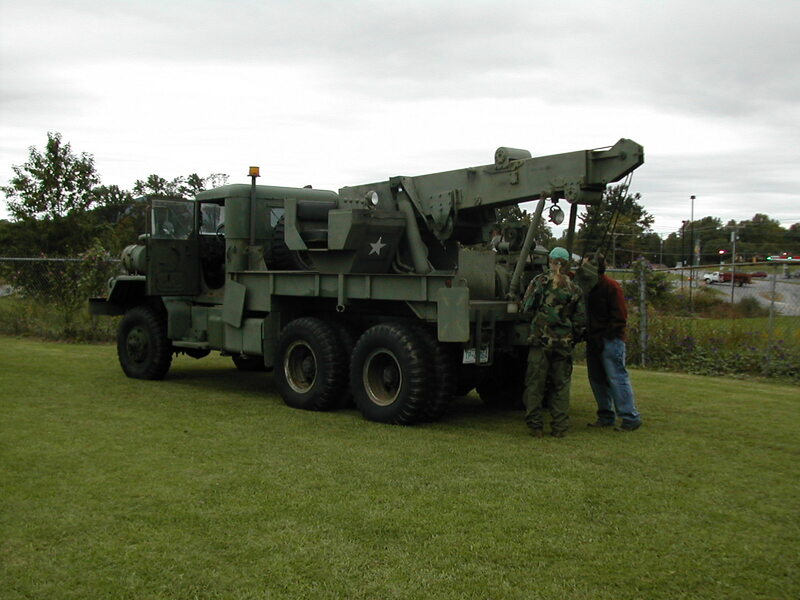 Figuring out the cause of the failure wasn't hard once the few pieces that remained on the truck were pulled off, and getting a new shaft fabricated in Raleigh was pretty easy and I have a description of the new shaft (including parts numbers) elsewhere on the site. 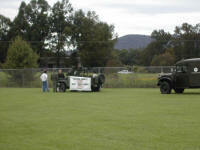 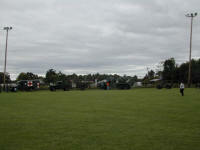 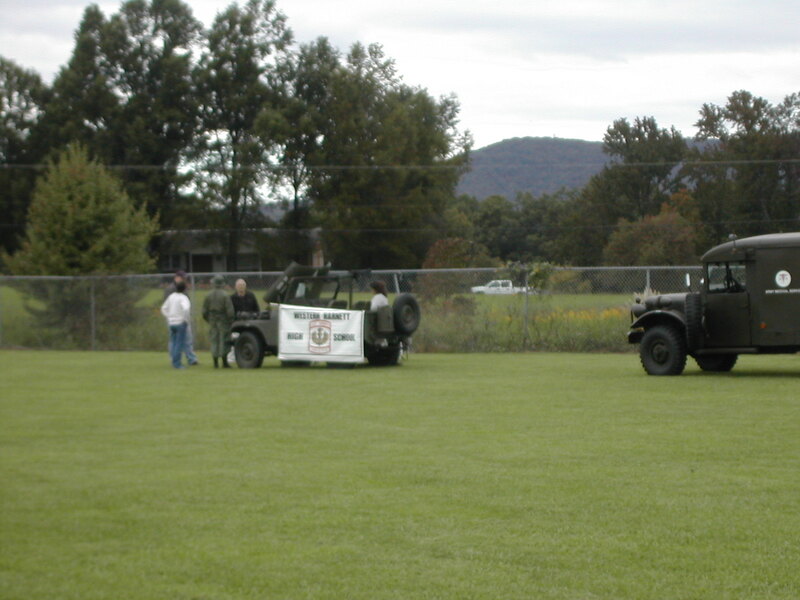 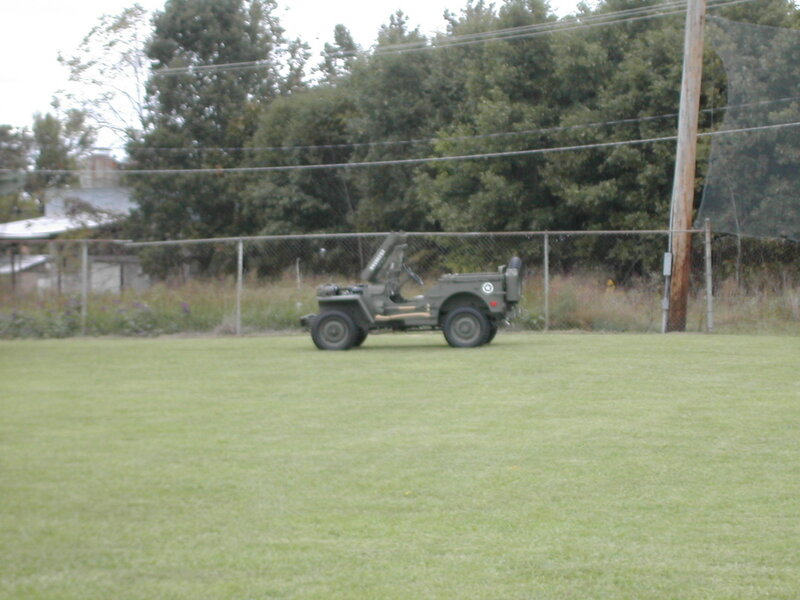 1 General view of the ballpark next to the VFD where the show was held. 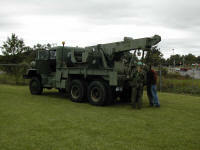 6 Brandon Cobb's M816 wrecker. 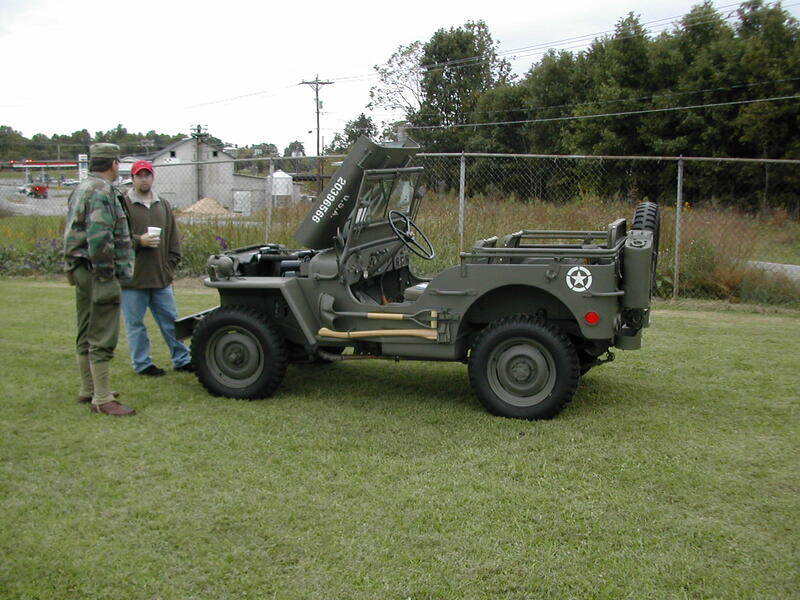 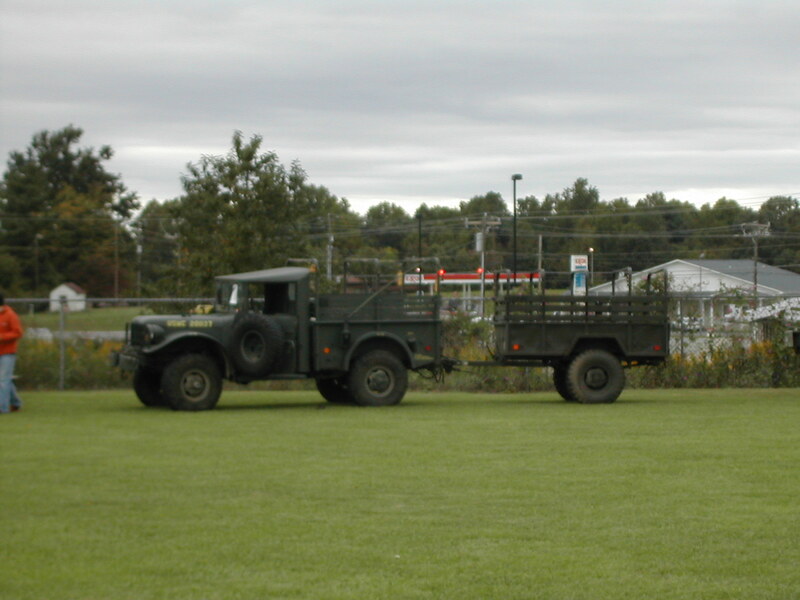 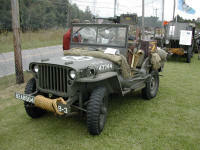 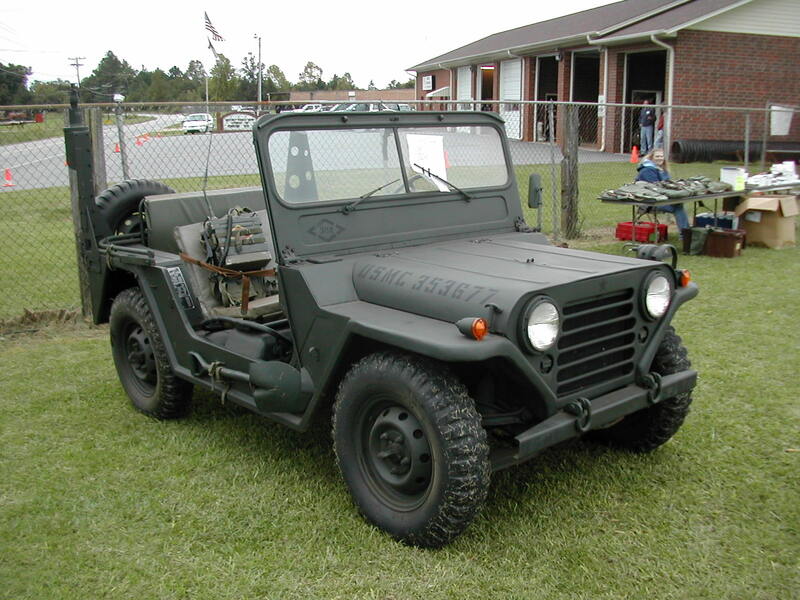 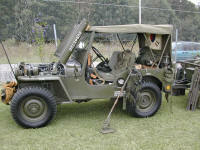 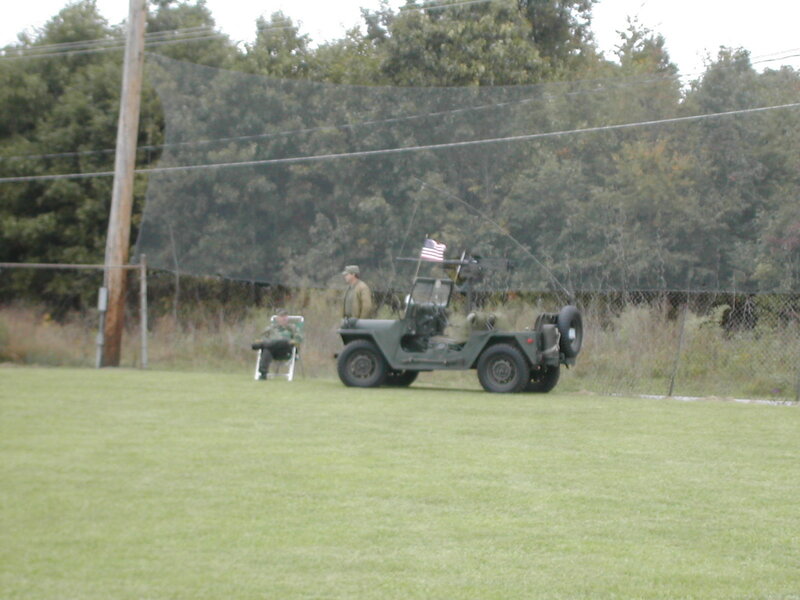 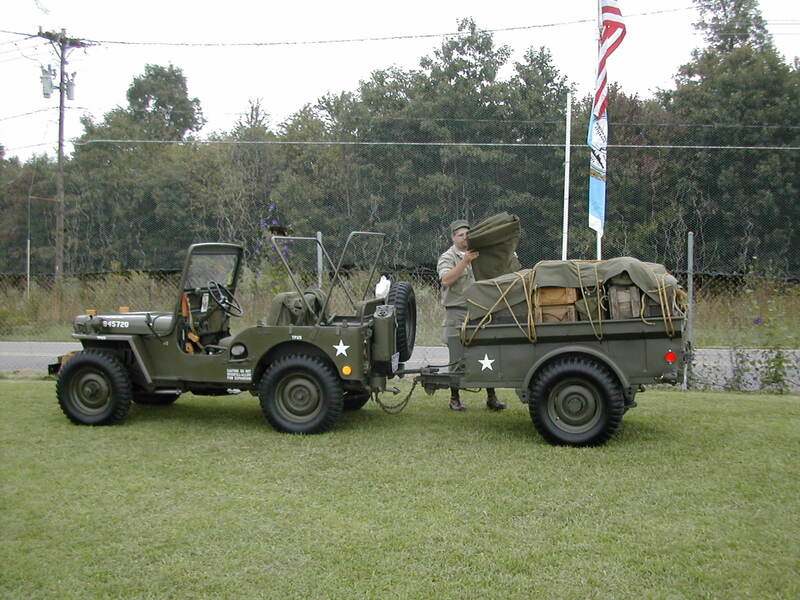 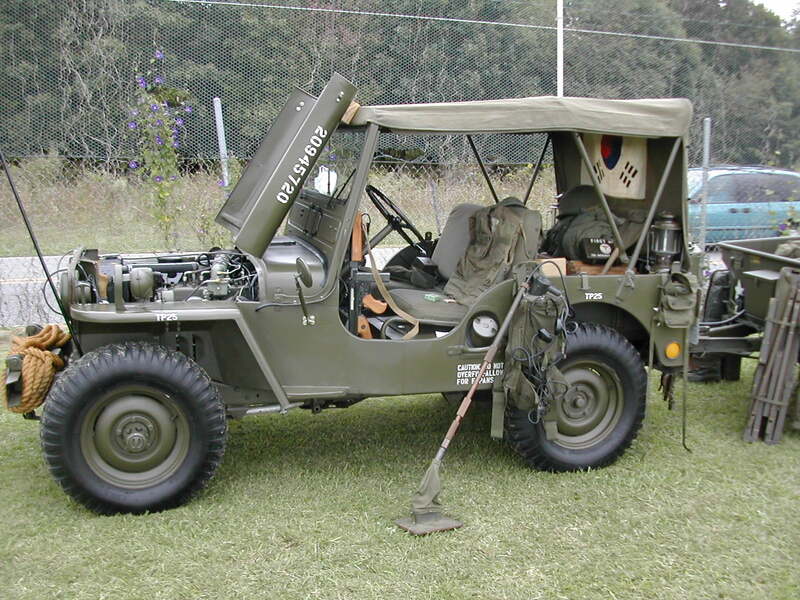 7 Cabell Garbee's Cummins powered M37 along with his M101A1 trailer. 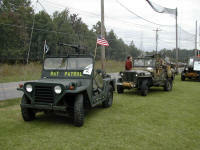 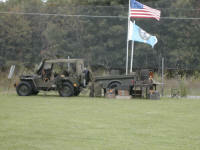 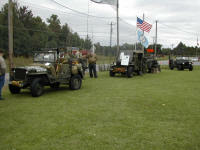 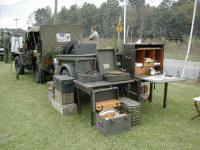 12 M38 with a M100 and a wonderful display of equipment. 14 Early vendors picking out choice spots next to the entance gate. 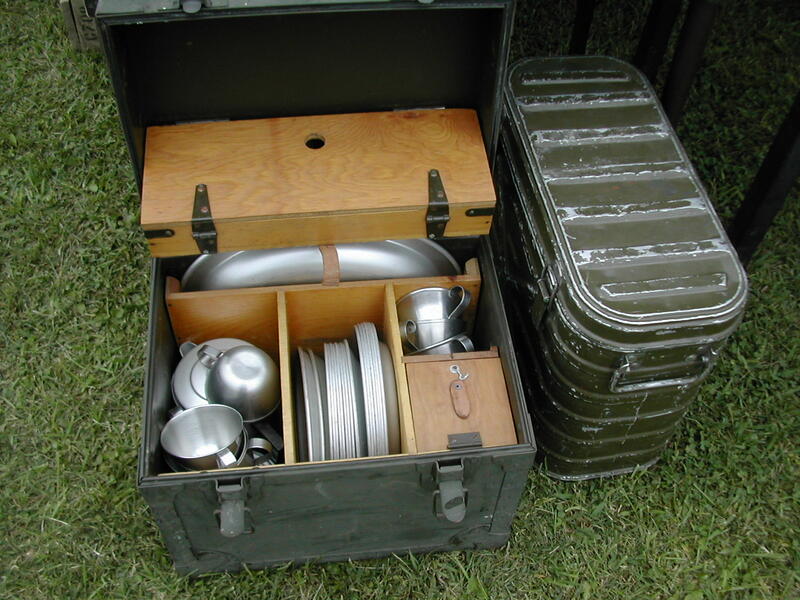 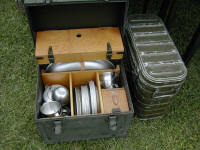 15 Officer's mess set and a Mermite container that are part of the display with the M38 and M100 shown in photo 12. 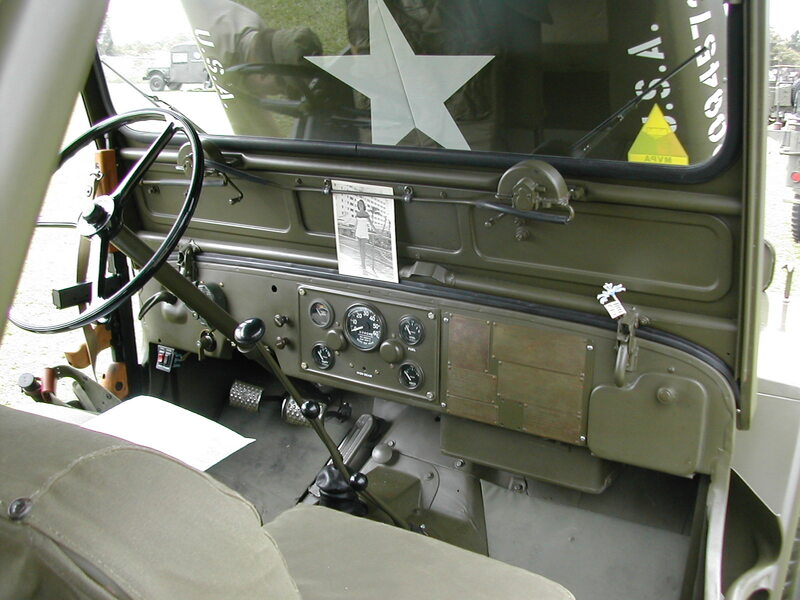 16 M38 with a display of gear. 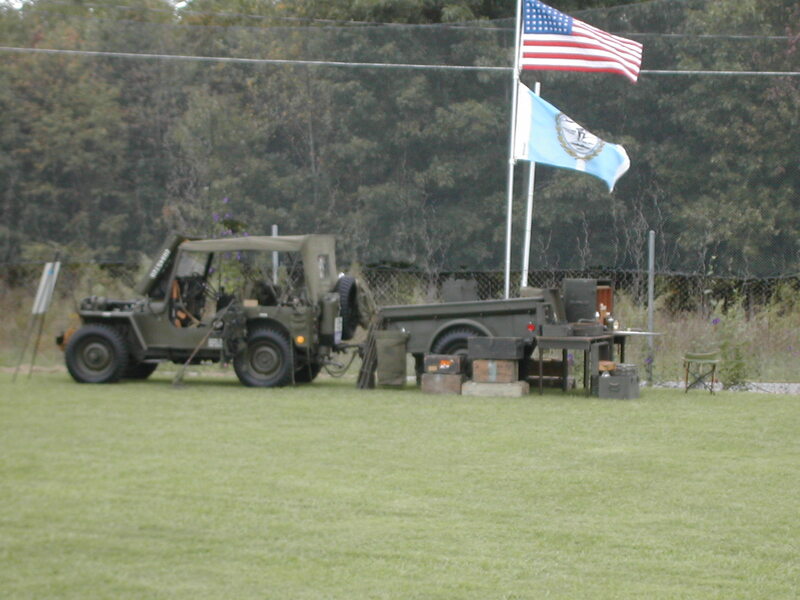 17 GPW with a display of gear. 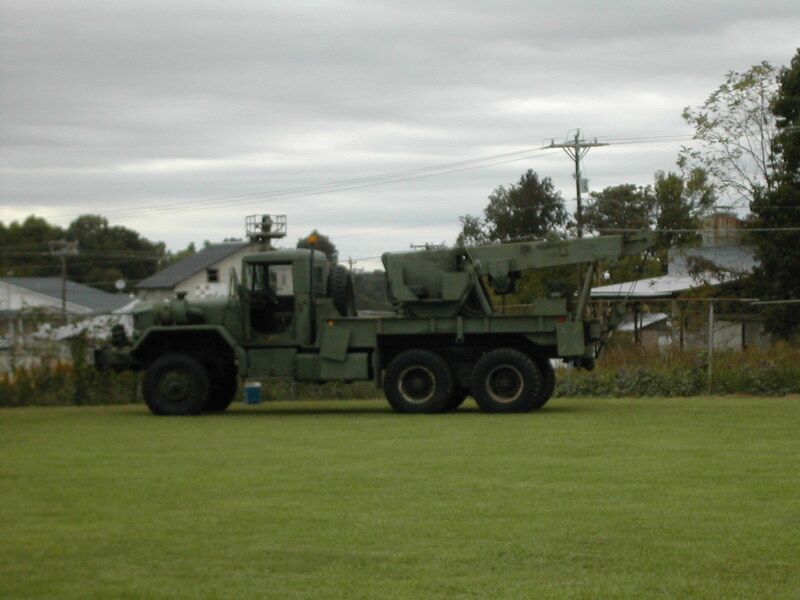 22 Five ton Cummins powered M816 wrecker. 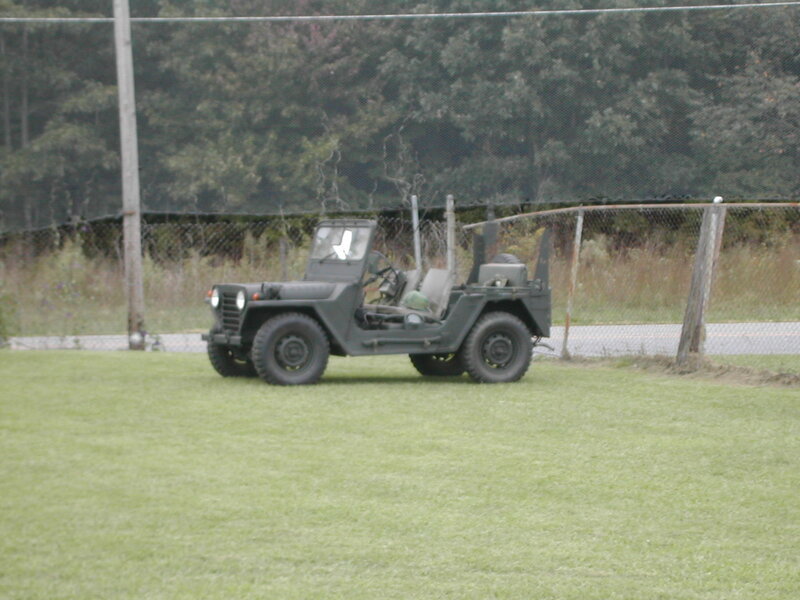 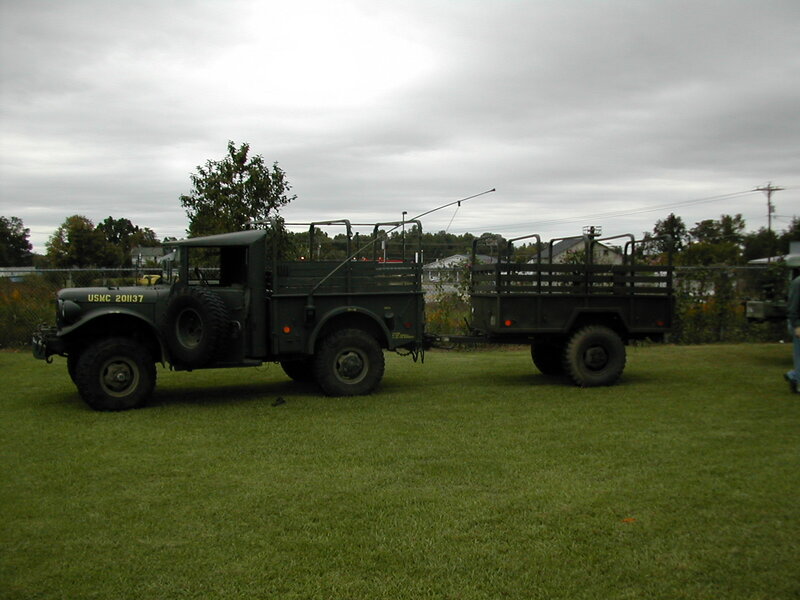 24 M37 with M101A1 trailer. 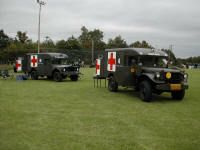 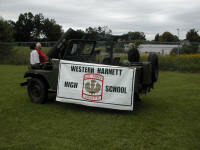 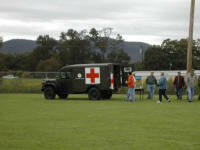 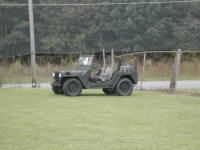 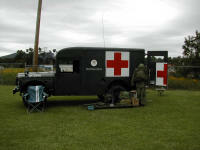 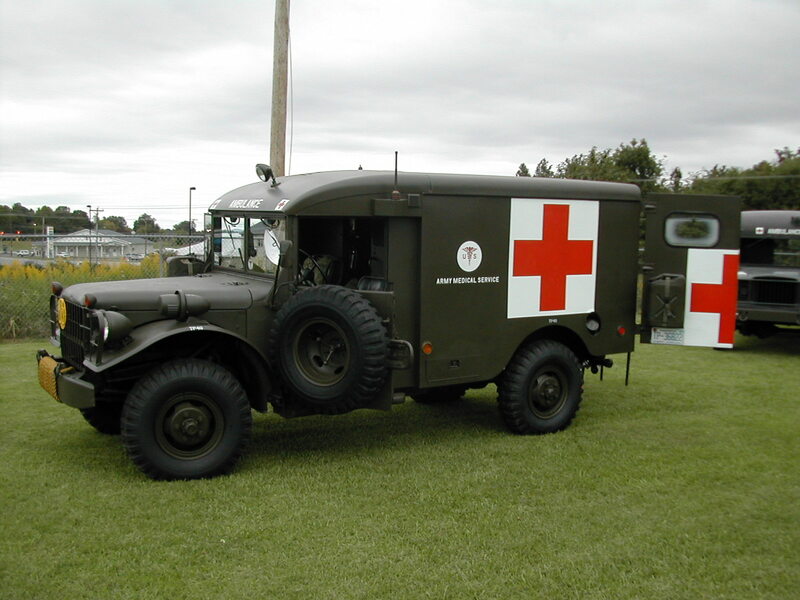 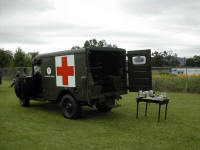 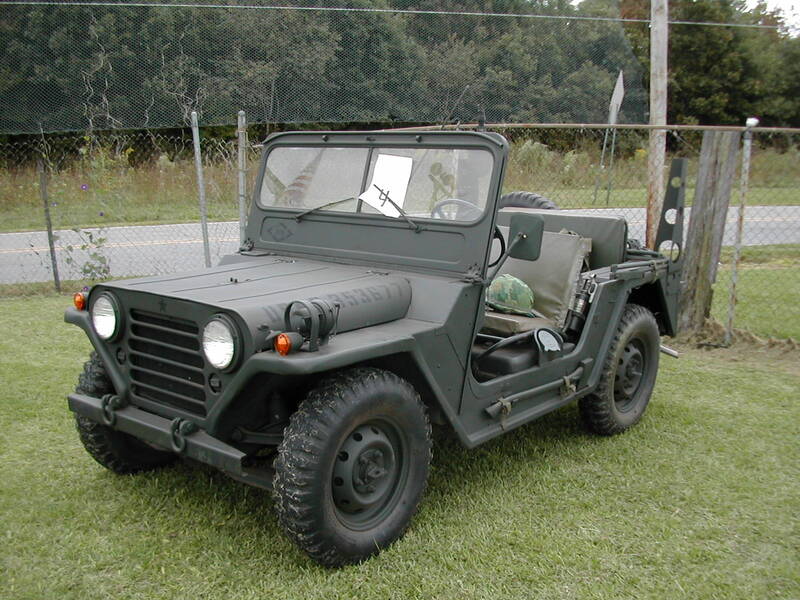 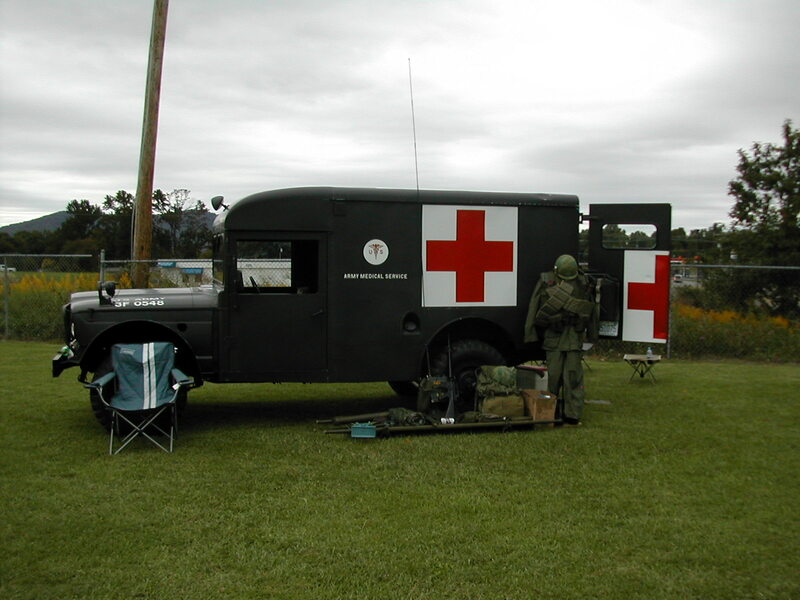 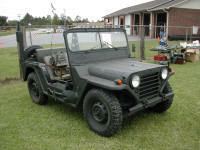 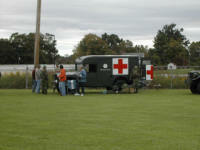 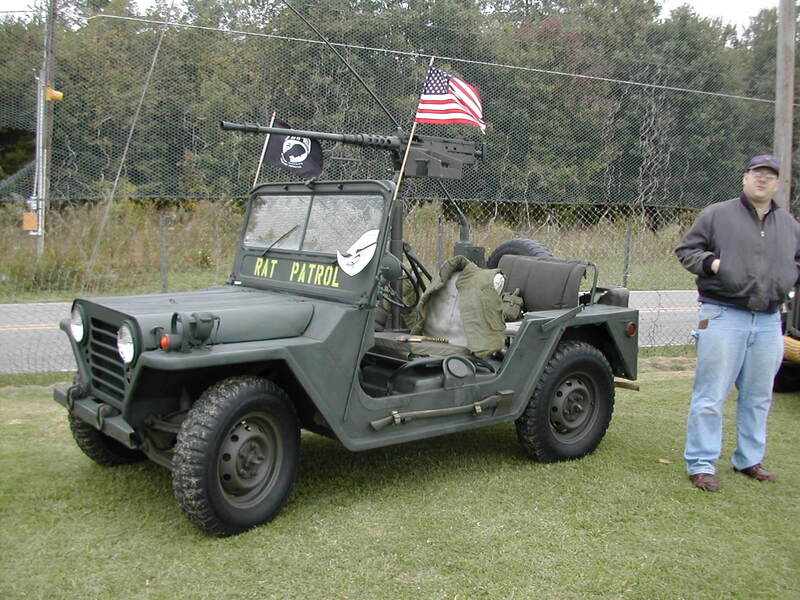 27 Steve Hill's Dodge M43 ambulance. 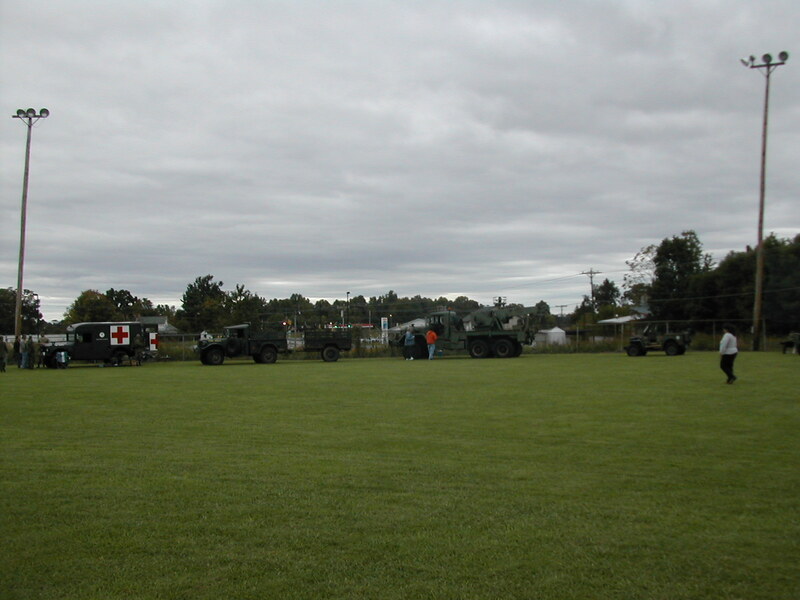 30 The two ambulances on display. 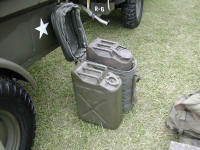 33 Jerry cans, one for gas, one (with insulated cover) for water. 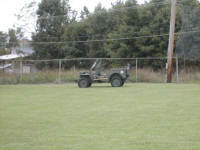 35 Side shot of the M38 with M100 ready to head home.